JOHN F. Kennedy, US President from 1961 to 1963, was one of the most charismatic American Presidents ever. He was also the youngest man ever to be elected to the Oval Office, and had the distinction of being the first (and only) Roman Catholic to have held that office. 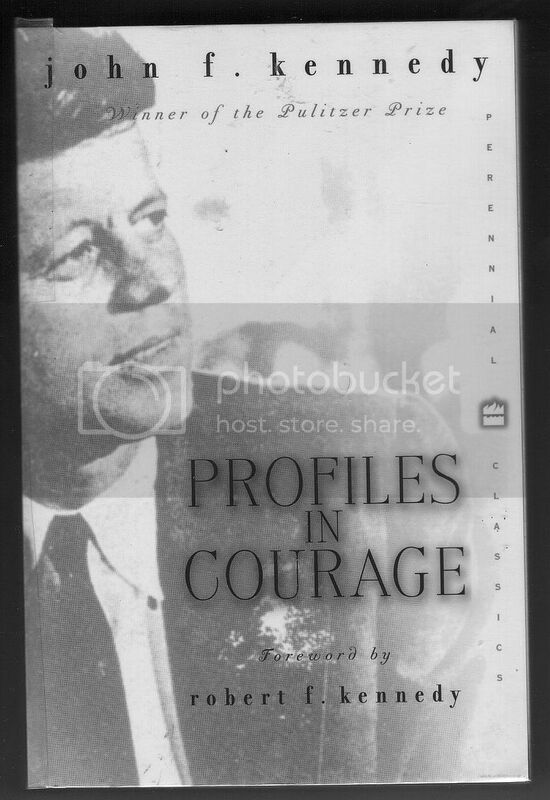 Early in his political career, JFK already earned the mark of greatness when he penned Profiles in Courage in 1954. A junior senator then, this book was his tribute to the strength and spirit that formed the foundation of a nation that had become the richest and most powerful in the world. He picked eight senators from American history as subjects of this book. The eight senators discussed at length in the book - John Quincy Adams, Daniel Webster, Thomas Hart Benton, Sam Houston, Edmund G. Ross, Lucius Lamar, George Norris and Robert A.
Taft - were men of outstanding courage and integrity. Their courage was seen in their political integrity in the face of almost insurmountable odds. This work by JFK is basically about grace under pressure, a phrase first coined by Ernest Hemingway. The lives of these eight senators represented what America as a nation is supposed to be about. For this splendid literary effort, JFK was awarded the Pulitzer Prize in 1956. Till today, this book is heralded as one of the best-written works on American political history. It shines a powerful light on the risks undertaken by the senators; the unpopularity they had to endure; the defamation they suffered and the vindication that followed after a long and weary political struggle. Perhaps Kennedy, in writing this book, wanted to remind himself of the possible pitfalls and rocky path that led all the way to the White House. In truth, his sense of foreboding would later be played out to its fullest effect when he became president. However, Profiles in Courage as a work about moral courage can be learned by anybody from any part of the world. It also serves as a source of inspiration for those who are about to embark on a political career of unknown proportions. JFK has captured the essence of what it is like to be a true politician. As his brother Robert Kennedy says in the foreword: "It is not just stories of the past but a book of hope and confidence for the future. What happens to the country, to the world, depends on what we do with what others have left us." Non-Americans who read this book may find some of the political dilemmas unfamiliar. Nevertheless, the book makes a strong case for leadership, personal principles and strength of character. Profiles in Courage should not only be read by the voting public, but the oliticians as well. In it, politicians will find situations that they are familiar with. Perhaps somewhere in between the pages, they may find the answers to their own political problems and dilemmas, or at least some inspiration and reassurance.